Every Friday afternoon from 3:00 until 5:00, the employees of Grinnell Computers shoot the crap out of each other for stress relief. Kevin Grinnell himself even joins the fray, in the hopes that his small company's productivity will stay high. You see, he pays his employees to play video games, and does so in the name of team bonding. They play the free game Combat Arms, which includes a comp-stomping mode called Fireteam, and a new zombie survival mode called Quarantine. Grinnell gives them a choice: go home early sans two hours' pay, or play with the team and get paid for the time. It's about "bonding," Grinnell said, when asked what the benefit to his company is of paying his team to play games. "We laugh until we cry when we play these games. We can do the thing where we have company dinners, and company functions, but those really aren't stress relief. At times, they can be more stress than they're worth." Grinnell Computers is a fairly new company located in Beaumont, Texas...about 2 miles from where I used to live. Whether or not they thrive as a business, the employees will likely always cherish these Friday afternoons. 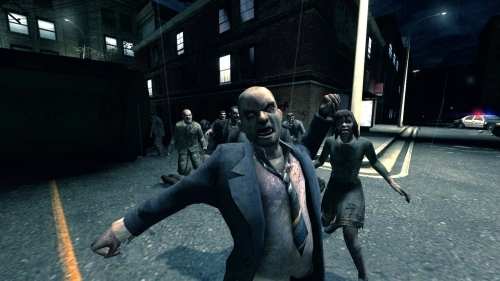 In another time zone, a much larger company engages in matches of Left 4 Dead on weeknights: middleware company Havok is chock full of happy Las Vegas employees who survive the Infected horde together, an activity that helps shake off the work cramps of the day. 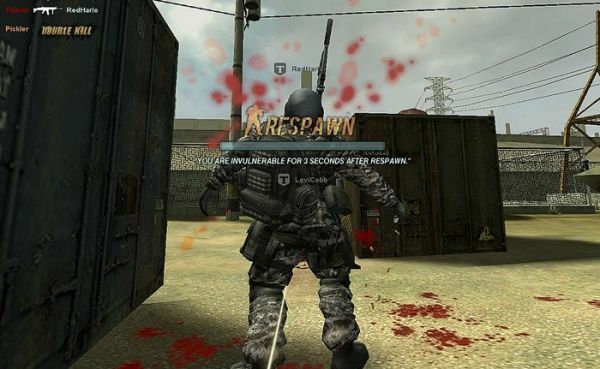 Havok's software has been an integral part of many, many great co-op games, so their good taste doesn't come as so much of a surprise. "There's absolutely no lines of authority there," [professional services group admin Ross O'Dwyer] said. "If I'm crap, if I'm the worst player on the team, that's the way it is. I will bow down to the...IT guy, who may be the best Left 4 Dead player on the team. We'll all fall in line, and I think that's great." Where I work, we can leave two hours early on Friday if we're not on call. Unfortunately, I'm pretty much the only gamer there. Seeing these stories in national headlines is a real treat (it sure beats Pets Welcome at Work...so lame). Page created in 0.4596 seconds.